Exterior Paint Names - What are the exterior paint color names and brand please? Hi Sabrina...we'd love to help you out with this! Our exterior color designs are for sale on our website, which detail all of the paint colors specified and their exact placement. 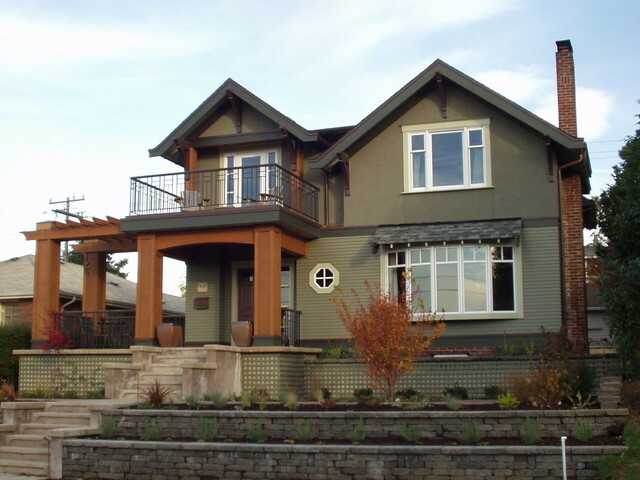 http://colorinspace.com/exterior_color.php This home is Craftsman Double Gable. Thanks for your inquiry! What colors are used on this house if I may ask, ? Like the wood-look posts, nice contrast.